Jeff graduated college from the University of Texas at Austin in May 1980 with a BBA in finance. In 1980 Jeff began his career with a financial planning organization in Houston, Texas. 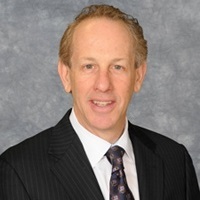 Throughout the next ten years, Mr. Shkolnick developed comprehensive financial plans for hundreds of individuals, corporate executives, and small business owners. In 1990 Jeff joined a national life insurance company as a marketing representative. In 1993 Mr. Jeff Shkolnick, CFP® became owner/president of the Houston office of the Advantage Insurance Network. Texas Advantage Insurance Brokerage is truly an independent marketing organization dedicated to providing sophisticated sales, marketing, planning and sales support for the upscale producer with a select group of high quality, diverse life insurance and annuity companies. The corporate staff is responsible for identifying and capitalizing on market trends and product opportunities. Jeff is a current Board Member of the Houston Business and Estate Planning Council. Jeff is a past Board Member and President of the International Association of Financial Planners. He earned his CFP designation in 1987. Jeff is also a member of the HAIFA, NAIFA, Houston & Estate Planning Forum, and Society of Financial Service Professionals organizations. Jeff has won numerous industry awards and has been a featured speaker at various seminars on financial planning and insurance related topics.